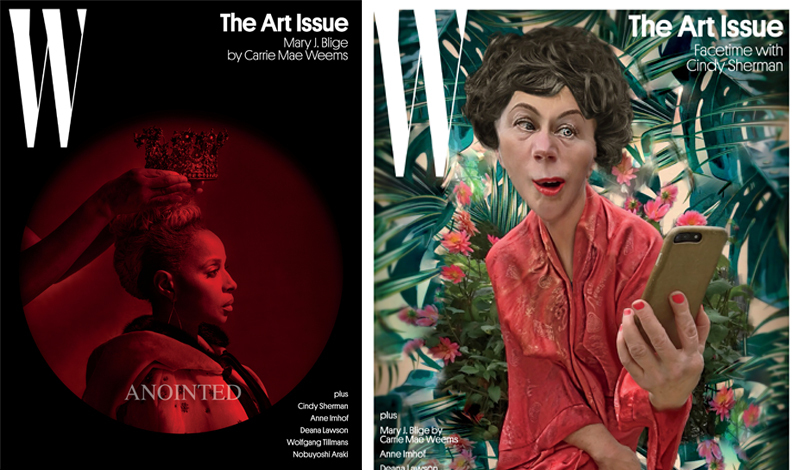 W Magazine has unveiled two covers for its annual Art Issue featuring two distinctive and highly-respected women in their own fields within the arts. 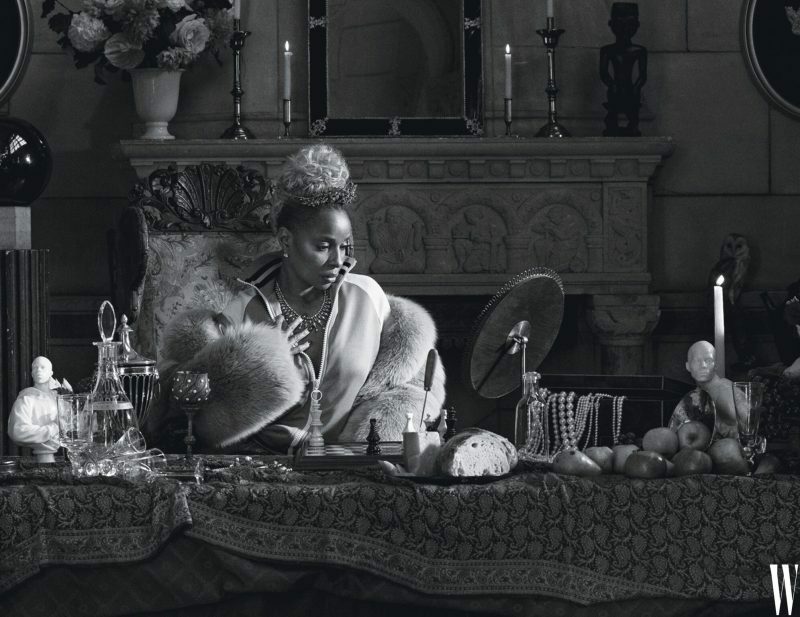 One stars Grammy-award winning singer Mary J. Blige, lensed by Carrie Mae Weems, and the other features artist Cindy Sherman, in one of her conceptual portraits. In the interview with Blige, the singer discusses her role in the critically acclaimed Mudbound, which will debut on Netflix on November 17. 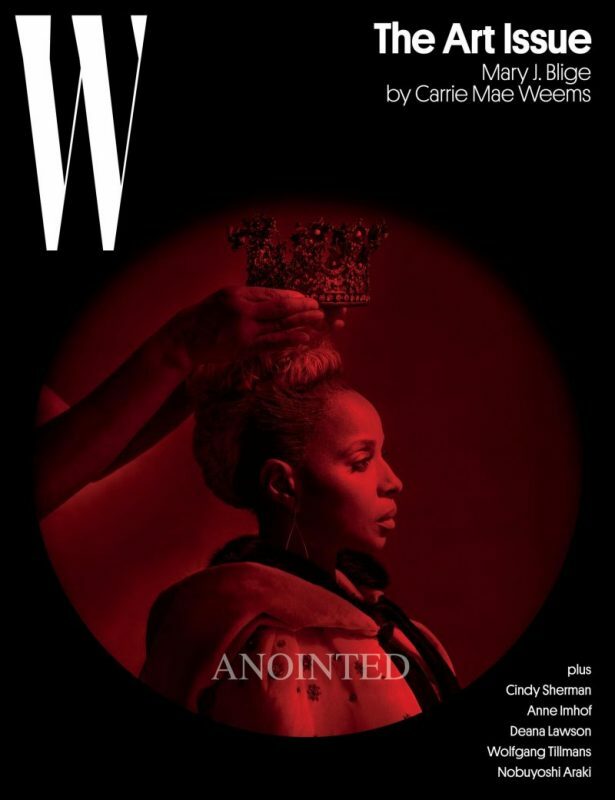 In Sherman’s interview, the photographer breaks down her “Selfie” project for W, as well as what’s behind her celebrated Instagram. 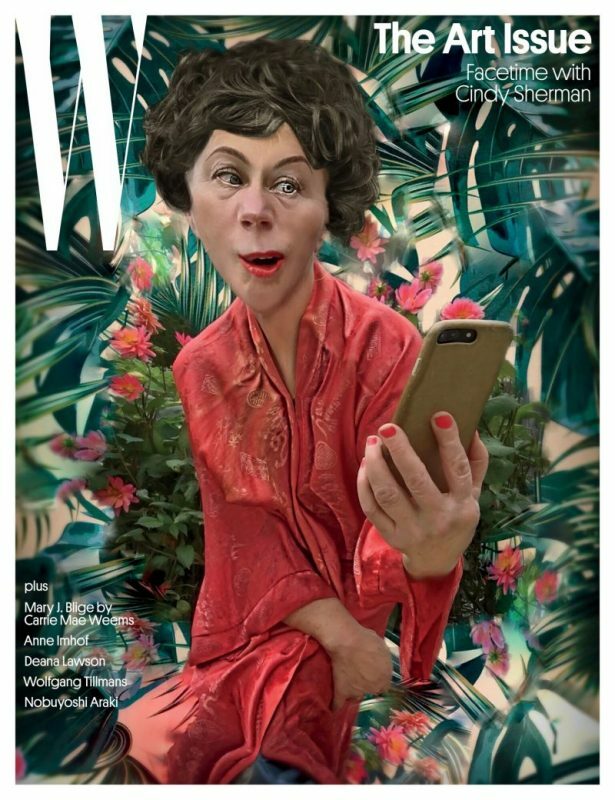 “I actually hate the idea of selfies,” Sherman said while discussing recent images she has been making with her iPhone. “People say, ‘Oh, but you’re, like, the queen of selfies… I really kind of cringe at that thought.” Since taking her Instagram account public this past summer, she’s gained tens of thousands of followers for her portraits that use extreme photoshop-type editing tools, also used in her cover for W. Think photos of women with warped noses, piercing eyes, inflamed skin, and other major adjustments. “It’s really only about making things prettier,” she says. 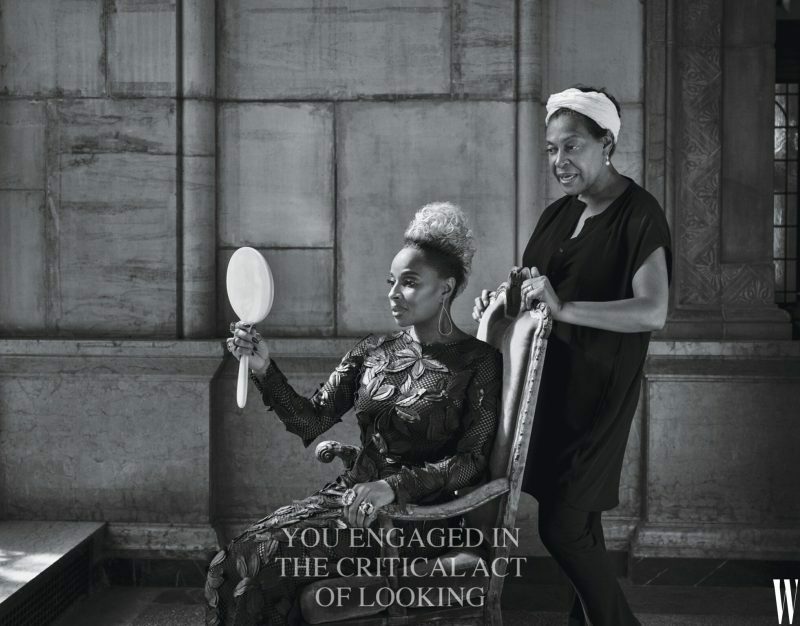 According to W, Sherman’s project for the book “apes the social media phenomenon known as the plandid—the planned candid photograph, which is ‘like a newer, hotter version of the selfie on Instagram,’ as one social media expert recently put it. They are carefully composed images of studious nonchalance.” Click here to read more about her project.